During the month of April, we will explore all the ways you can increase your energy levels. Peanut Butter (roasted peanuts, salt), High Fructose Corn Syrup, Corn Syrup, Carob Coating (Sugar, Palm Kernel and Palm Oil, Carob Powder, Whey Powder, Milk, Nonfat Dry Milk,Soy Lecithin [as an emulsifier], Salt, Natural Flavor), Nonfat Dry Milk, Soy Protein Isolate, Brown Sugar … and other stuff. At the time we thought this was GREAT because your body needs sugar for energy. This should give me an extra boost as I round third and head for home. 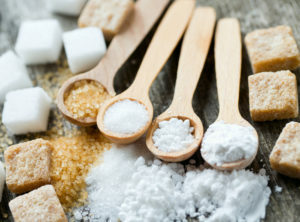 Unfortunately for this homely little slice of Americana, although glucose is used as energy throughout the body, eating foods high in sugar — and in this case a candy bar with FOUR unique sources of sugar — actually has the opposite effect. When sugar moves into your blood stream, it has to get into the muscles and organs. This is done through the molecule called insulin. But insulin isn’t just waiting around to scoop up the sugar and dump it into your tissues for energy. It is released into the blood stream in based on how much your body things you need. 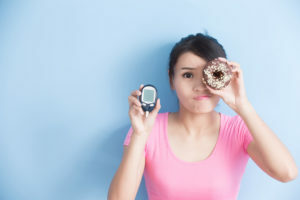 If you have a little sugar, your body senses that and produces a little insulin in response. But if you have a lot of sugar, your body assumes that you need a lot more insulin. To keep up with how much sugar you’re pumping into the blood stream, it will actually overproduce insulin. This means that ALL of the sugar consumed will go into the tissues and into storage, leaving none in the blood stream for later. If you’ve ever eaten to the bottom of the Girl Scout Cookie box and then noticed that you find yourself tired and hungry (a.k.a. hypoglycemic) in 90 minutes, this is why. So if you want to increase your energy levels, slowly pull back on the excess sugar found in packaged foods, high-sugar beverages, and other overly sweetened foods. This will prevent the over-production of insulin that can leave you tired and hungry … moving less and eating more!